Organisations are being invited to promote their volunteering opportunities to NHS England staff, who can take up to five days of paid leave per year to volunteer. Voluntary Norfolk’s South Norfolk Health Volunteer service has recently been rewarded for its service to the South Norfolk community by Wymondham and Attleborough Charity Darts League. 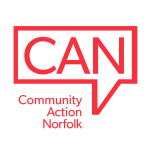 ACCESS- supporting migrants in East Anglia are looking to recruit some new trustees, particularly those who are from migrant communities themselves. Why outdated methods of recruiting trustees can be a hindrance. Getting on Board has published a report about how trustees are being recruited and the perils of unprofessional recruitment methods.